Are there any assessments in the online activities? This depends on the course. Some courses include online assessments and activities that need to be completed before certification. For UKCC courses there are some practice assessments that will help learners prepare for the theory assessments, but these are not marked. With the iOS 10 updates on iPhone/iPad, there have been issues with HTML5 that are affecting the audio playback from L1/L2 packages. We expect this to be fixed by Apple in a future update to iPhones/iPads. If you need audio, we recommend using a desktop/laptop. Can I do the online modules in any order? No, the online modules are designed to support your learning and therefore must be taken in a progressive order to aid your development throughout the course. Can I print out the online activity screens? We have not set up a system to provide this, as it is not always possible to capture the data from interactive screens clearly. The print screen option in most browsers should provide this function if required. When people have had a problem with his module in the past it is usually because a few of the screens have been accidentally missed. This usually happens when the ‘click-to-reveal’ images have not been activated, usually on the screens below. For the activity to be recorded as complete all the screens need to be viewed/interacted. Go through the module again (you may have already done this, but it's worth trying one more time), taking care to read the instructions on each screen. If you are still seeing issues use the contact form and a member of the Academy Admin team will look into the problem for you. Do I have to complete the eLearning courses and modules before my course? Yes. You should complete all the online courses, modules, and review the additional resources that are available to you before Day One of the group sessions of your course (run face to face). This will help you during the group sessions and will ensure you have a good understanding of the ideas and concepts that will be discussed. Your tutors will expect you to have completed the eLearning activities and will be discussing the subjects on Day 1, so it’s important to complete these ahead of time. During your time with the tutor, they will review the subjects covered in the online modules, to ensure you fully understand the content. Do I need to complete all of the online modules before I go to my theory and practical assessments? We recommend that you complete the online activities before attending your assessments. 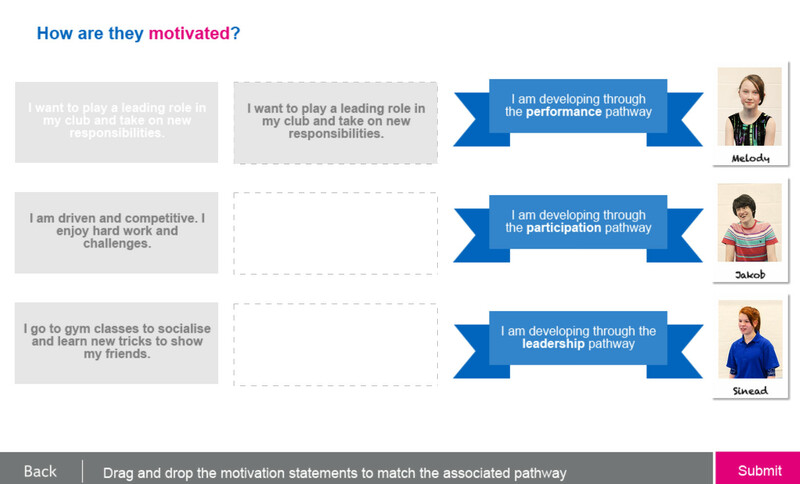 Think of the eLearning modules as part of the resource pack, or as a session from a theory day. Each one is there to increase your understanding and help your performance during the assessment. Does the Academy work on my phone/tablet? Yes, but to get the best experience you should only use your phone for forums and resource documents, and use you PC, laptop or tablet for the interactive modules within the courses. 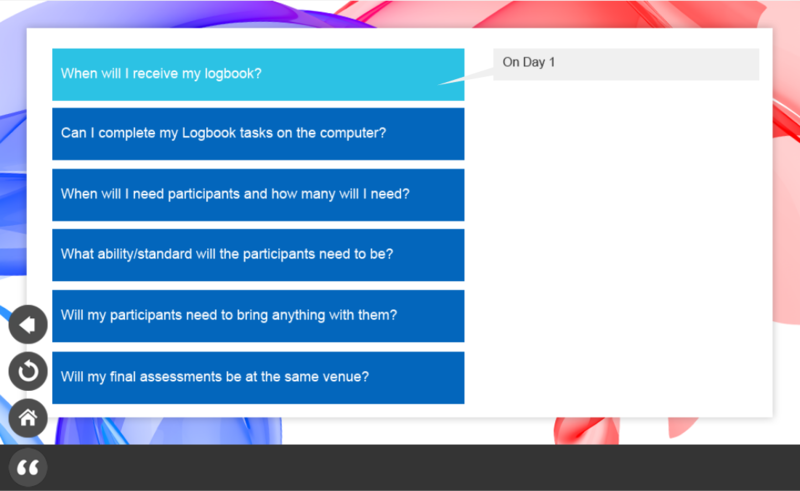 Does the eLearning approach change what I need to do with the logbook on a UKCC course? No, your logbook activities remain unchanged. In fact, the eLearning activities will help you complete the logbook tasks. 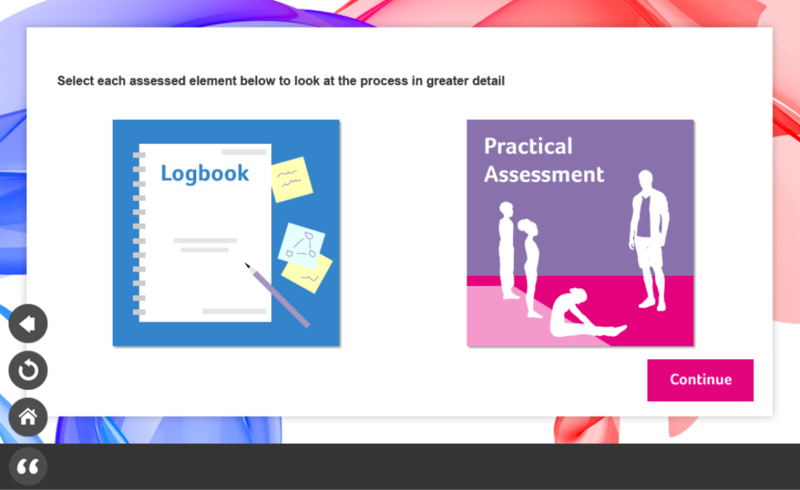 Electronic versions of the logbook tasks are also available via the Academy. When people have had a problem with his module in the past it is usually because a few of the screens have been accidentally missed. This usually happens when the ‘click-to-reveal’ images have not been activated. If you are still seeing an issue please use the contact form and a member of the Academy Admin team will look into the problem for you. How do I change my profile details in British Gymnastics Academy? To change your profile details access GymNET via the links at the top of this page. How do I contact someone if I can’t solve my problem? Get in touch using the contact form on this page, giving us some information about your problem and your contact details. Alternatively you can contact Customer Services within office hours on 0345 1297129 ext. 2395 and we’ll do our best to solve the problem. How do I find out my course dates? It is important to know your course dates to ensure you complete any pre-course work ahead of time and attend any face-to-face days during the course. The best way to find your course dates is to check the British Gymnastics course finder tool and search for your course. Alternatively, you can contact the Workforce Development Coordinator who organises the courses for your region. Their contact details are available here. How do I refresh my page to check my progress? You can do this using the F5 button on a windows machine, or use the circling arrow in the browser address bar at the top of the screen. For more information use the link Here. Your course materials will remain available as long as you maintain your BG membership. I can’t access the content, as when I click "start" it takes me back to the page with the list of activities. If you are using Windows 10 and Microsoft Edge you will need to disable your pop-up blocker. Click here to find out how. You can also try to install an alternative browser such as Google Chrome or Firefox. I have completed the activity but the course won’t let me move on to the next one. It may be that the browser has not updated your progress. Click on the refresh button and see if your progress updates. If your progress has not updated, it may mean you have missed some of the screens in the activity. Revisit the activity and check that you have viewed all the required screens and completed all the tasks. Pay close attention to the instructions on each screen; some are in the main screen and some are in the grey bar at the bottom. Alternatively use the contact form and we’ll do our best to solve the problem. 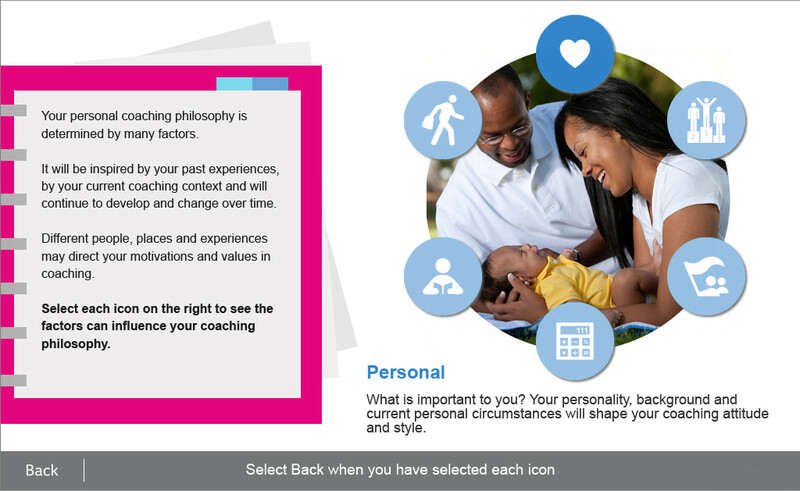 I may not be able to complete all of the modules before the coaching course. Will this affect my course? The practical days are designed to build on the knowledge you gain from the online activities. You can attend your practical days without completing all of the online activities, but you will get less out of the practical activities. Interactive modules do not load on my Academy account. If you press start after you have chosen your activity and this shows a blanks screen where you would expect to see an activity, it's likely that the flash player needs updating. You can check and then fix this this using the link here and following the instructions. Is there a fee for the Foundation Safeguarding course? Yes. This needs to be paid for before you can start the course. You can check if you are eligible for the course, view the course fee and enrol on the course here. Is there a fee for the Safeguarding Refresher course? This could be due to your device having pop-up blockers enabled. If you are using a Windows PC the activity may be hidden behind the courses window. Minimise the courses window and see if the activity is visible. It may also show in the active application bar, usually at the bottom of the screen. My activity shows a blank screen when I open it. My activity will not open in Safari. It's likely that the flash player needs updating. You can check and then fix this this using the link here and following the instructions. Some of our courses experience problems on iPads and iPhones. In this case try using a desktop Mac or Windows PC. My activity will not open. I get taken back to the courses page. My Safeguarding Refresher course is freezing on one screen. It's possible that the flash player on your PC or Mac needs updating. You can check and then fix this this using the link here and following the instructions. Currently this issue cannot be resolved on iPads and iPhones. In this case try using a desktop Mac or Windows PC. For this module to be registered as complete all the screens need to be viewed and interactions completed. Check that you haven't accidentally missed a few of the activities (see a couple of examples below). 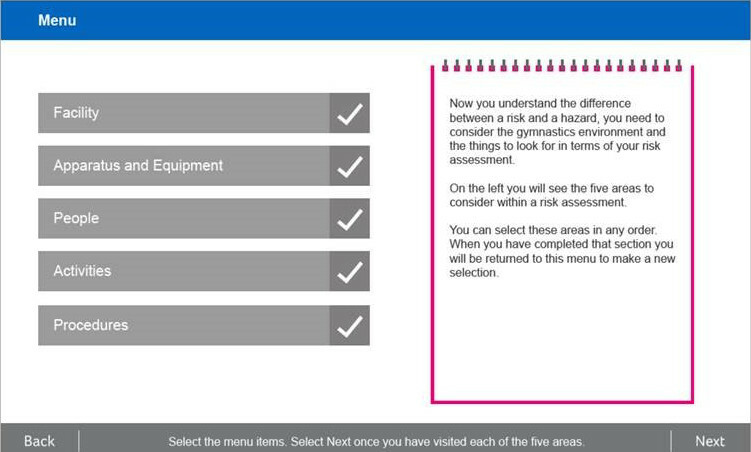 There are also a few scenario questions that need to be completed, accessed from the menu shown below; you could check that these have been completed. Go through the module again (you may have already done this, but it's worth tying one more time), taking care to read the instructions on each screen. If you are still having problems with it use the contact form on this page and a member of the Academy Admin team will be in touch. The activity keeps crashing when I am half-way through. This may be due to a number of factors such as your device, browser or your internet connection. Try accessing the activity on another device; we recommend tablets, laptops or desktops. If this still does not work, try using a different browser as your cookies may be causing a problem. You can reset your cookies just for the Academy by clicking here. There is no green tick showing when I have completed my activity. Welcome activity in the UKCC Level 1 course is not showing as complete. Finally, refresh the courses screen to check that your progress has been updated. If the course has not registered as complete, please get in touch using the contact form and we’ll look into it. What do I do if I can’t log in to the British Gymnastics Academy? Try resetting your password using the ‘Forgotten your details?’ button on the login page. You will need your membership number for this. Get in touch using the contact form on this page. Be sure to include your contact information so we can respond to your query. Call our Customer Services Department on 0345 1297 129. They will be able to confirm the information we hold about you, and help reset your password if needed. Please note the Customer Service team are available in standard UK office hours. 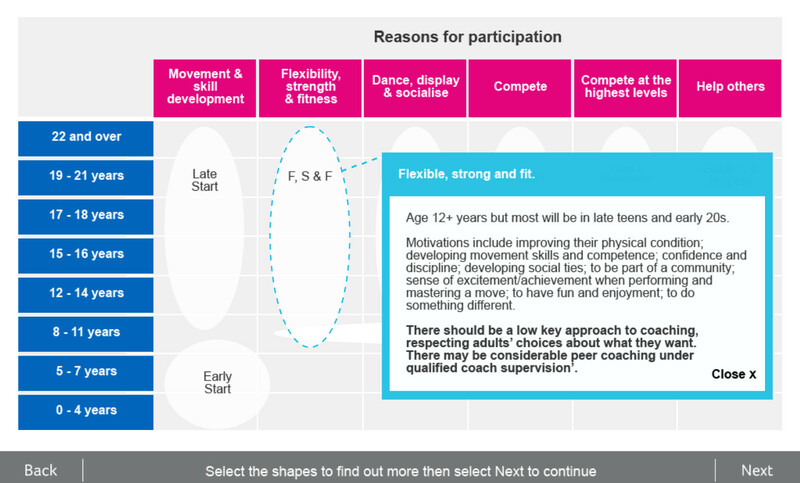 What if I do not hold a current British Gymnastics membership? You will need to pay for the course and be enrolled with British Gymnastics as a ‘subscriber’ member. You will then be given access to the British Gymnastics Academy and your course. What if I don’t have a computer, can I just skip the eLearning? No, the eLearning modules are designed to aid your learning, and should be thought of as an addition to the theory days and assessment. If you do not complete the eLearning prior to the course dates you will be at a disadvantage when attending the tutor-led days. The eLearning is a compulsory part your course and if you do not complete the online activities you cannot be certified in your qualification. The online requirements for the course are made clear during enrolment. If you have been put forward by a club to complete a qualification, you may be able to access a computer through their facilities. Libraries also provide computers available for public access. What is the BG Academy? 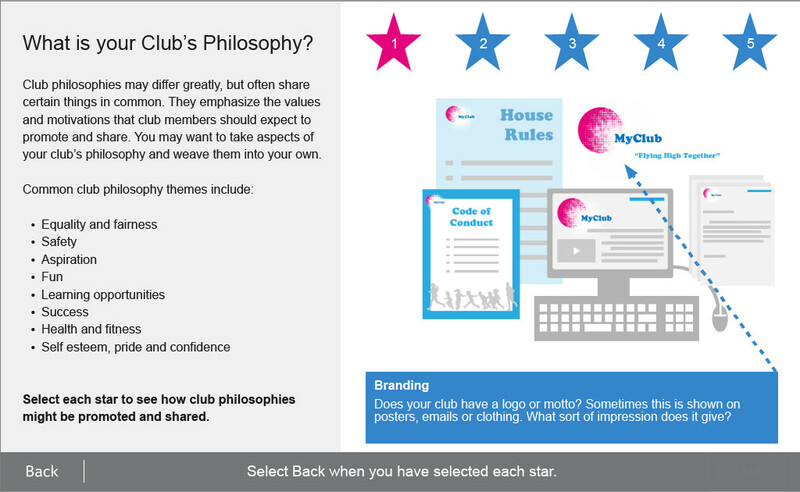 Welcome to British Gymnastics’ online learning centre, the Academy. Here you will find the course you have enrolled on, online modules to complete, and resources to help you develop your skills and understanding. As you explore the BG Academy and you will find your personal profile, a forum, and a help service to support you as you learn. 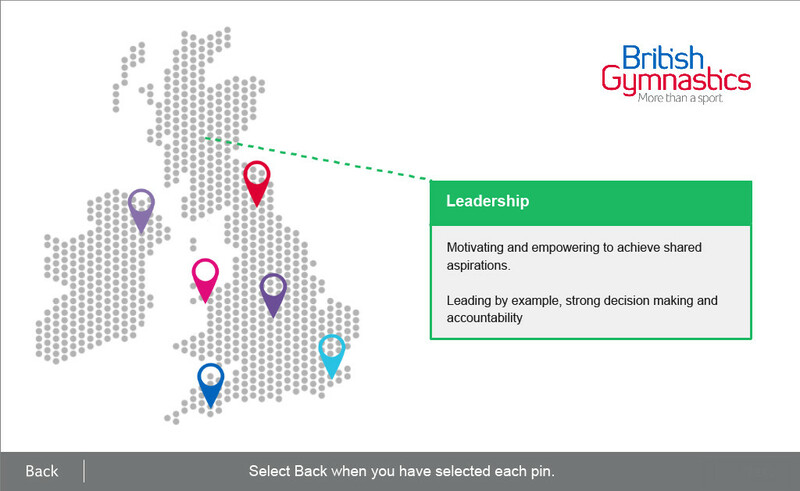 The BG Academy is only accessible to British Gymnastics’ members. Its purpose is to help our community develop their skills and knowledge. Our method is to offer blended learning. Blended learning is the term used to describe a mixed learning approach, which includes instructor led group sessions, and additional online content and interactive courses known as eLearning. We welcome your ideas and feedback. Please get in touch via our contact form. The forum function is available on some courses. It is an opportunity for you to view and post comments about the content of your course. The forum can only be viewed by the other coaches on your course. What is the Resources section for? The resources section provides quick and easy access to the resources that form part of your course modules. They are grouped by the modules they relate to, and can be opened, used and downloaded if required. What other courses do you offer and how do I book? 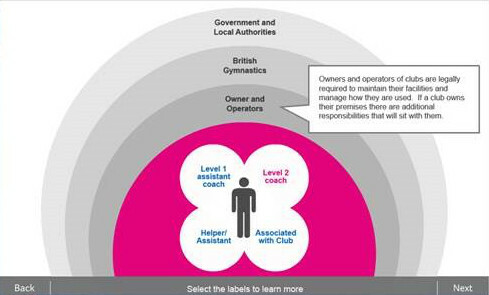 To find out about other courses provided by British Gymnastics access the find a course tool , select your course and follow the on-screen prompts to enrol. When do I need to complete my logbook? You will need to start completing your logbook after the first practical day of your course. the electronic copy of your logbook can be found in the resources section of your course, and a paper copy will be provided on your first practical day. For some courses a mentor is required. It is recommended that your mentor is qualified one level above you, and from the same discipline. Given the nature of our sport, we take a case-by-case approach to situations where this cannot be achieved. The Course Organiser should be contacted in the first instance. Who would I need to contact if my participants or I pull out of a course near too or on the day? Why are my interactive modules not showing as 100% when I have completed them? Check that your activity has been updated on the courses screen by refreshing the screen. Why can’t I see my course in the Academy? This could be because there are no online elements to the course, or if you have enrolled on an online course there may be a payment outstanding. You can check this by accessing your GymNET account here. Look in your basket and check to see if any payments are waiting. Alternatively contact Customer Services by email by clicking here, or call within office hours on 0345 1297129 ext. 2395 and we’ll do our best to solve the problem. Why is my completion certificate showing a blank screen? This could be due to our systems synchronising with your progress. Log out and log back into the Academy and try the certificate link again. Alternatively, contact Customer Services within office hours on 0345 1297129 ext. 2395 and we’ll do our best to help you. Will Tutors/Assessors be able to check my progress before and during the course? Yes, your tutors/assessors will be given access to a tool that can summarise your online progress. This can be viewed by your tutor/assessor at any point once you have accessed the course. This will enable tutors/assessors to check your progress and provide you with help if required. No. If you have previously completed online content for any level 1 course , for example; a level 1 Women's Artistic course and you are now enrolled onto another level 1 course, you are not required to complete the online learning again. You may attend the practical days where you will need to complete another logbook as this will be discipline specific. To make sure you're human, please enter the words into the text box below, separated by a space.